As predicted by me (due to reading various rumor reports), Chris Pine indeed revises his role as Steve/Stiv Trevor in Wonder Woman 2. 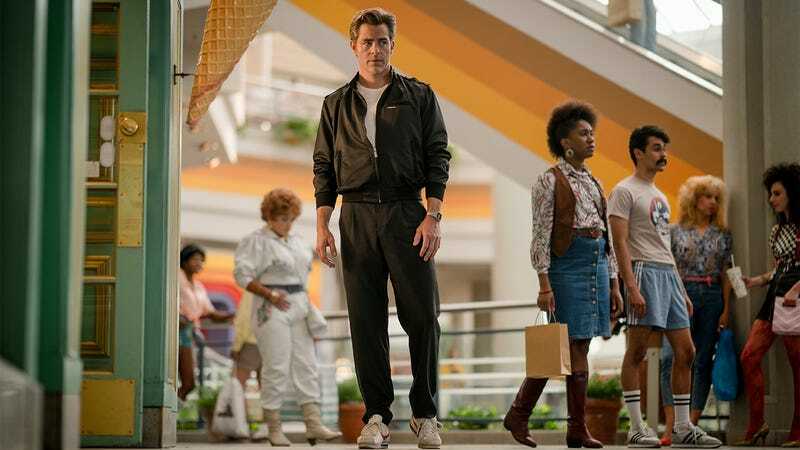 Director Patty Jenkins confirmed as much with a photo posted on Twitter—a shot of Pine’s character smack in the middle of an ’80s mall. At first, I pegged this wardrobe as a tracksuit, but Jezebel’s fashion guru Julianne Escobedo Shepherd swiftly corrected me, stating that Pine is actually wearing a Member’s Only jacket, regular pants, and Nike Cortezes. Anyway, drink it in. Enjoy the view.